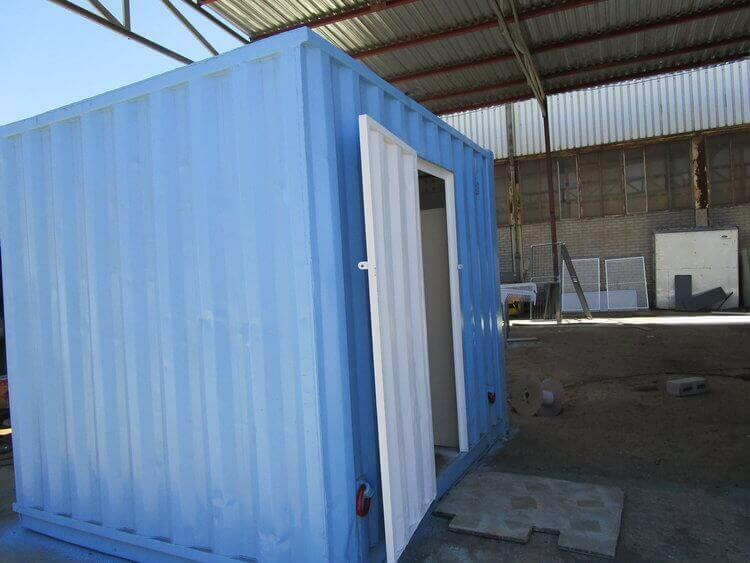 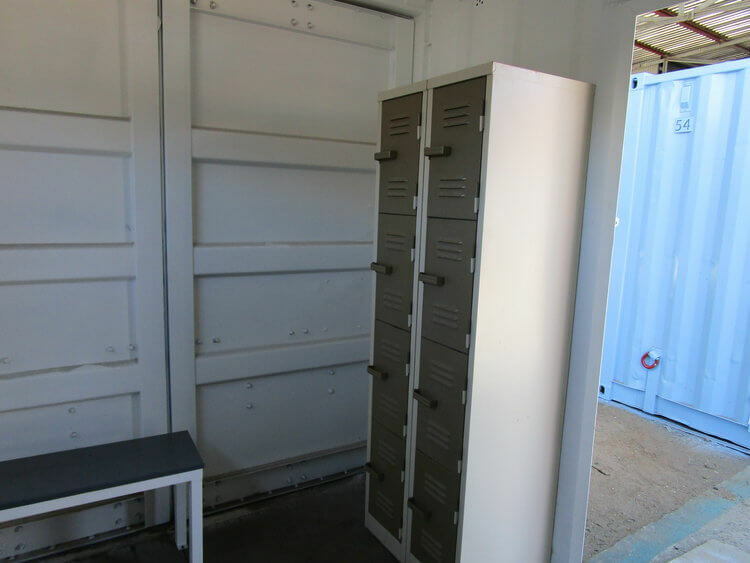 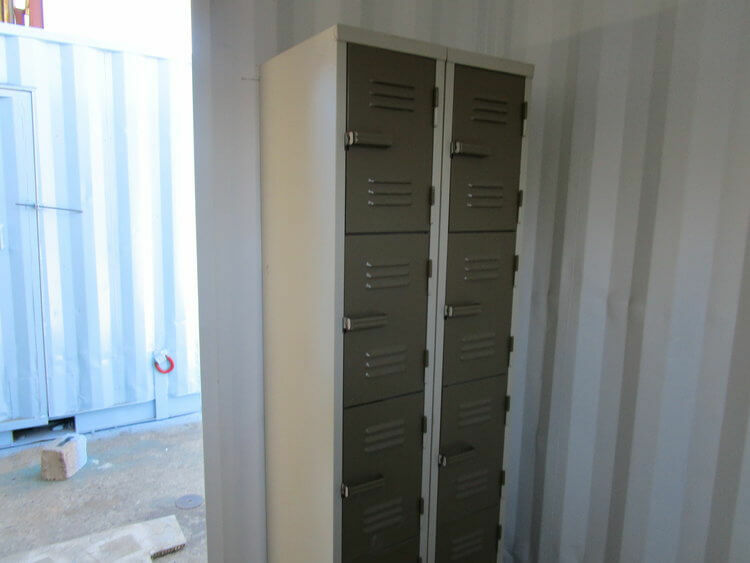 Container Rental and Sales made 3–meter change rooms for a client. 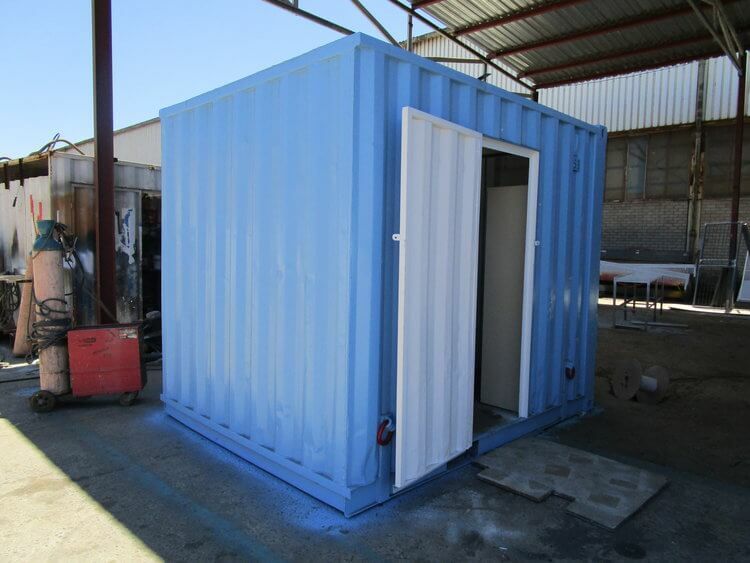 As per the client’s request, we took a 6-meter used container, cut it in half and blanked off the open sides. 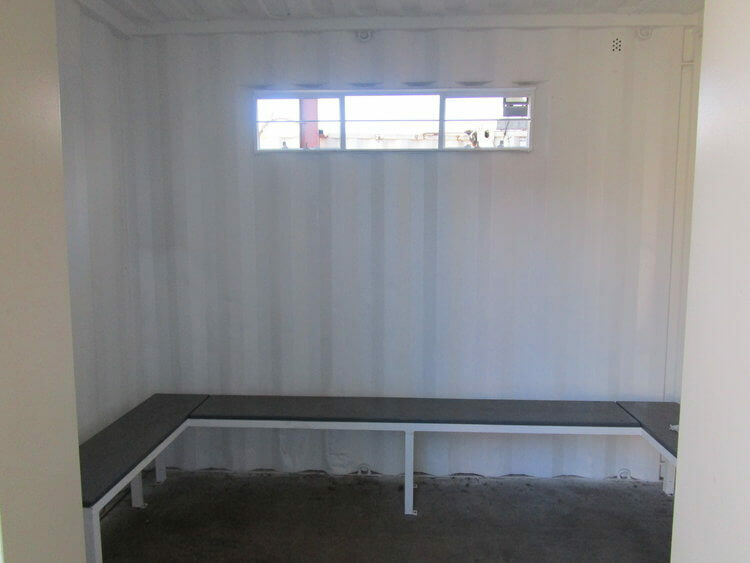 We then added doors, windows, benches and lockers to make a change room.